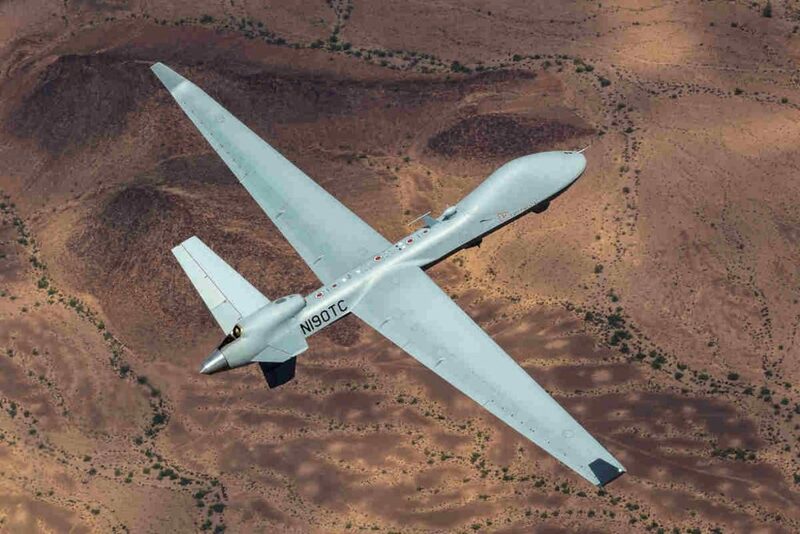 General Atomics Aeronautical Systems Inc. has teamed with five Belgium-based businesses as part of an industrial collaboration effort with the Belgian aerospace and defense industry. Team SkyGuardian Belgium includes General Atomics (GA-ASI), SABCA, Thales Belgium, Esterline, DronePort, and satellite communication technology company Newtec. The Government of Belgium recently announced the selection of MQ-9B SkyGuardian to meet the RPA requirements of Belgian Defense. GA-ASI’s MQ-9B has also been selected by the Royal Air Force for its PROTECTOR RG Mk1 program. The total economic value of Team SkyGuardian’s efforts to Belgian industry is estimated to be in excess of €100 million over the life of the program. “GA-ASI looks forward to working with our Belgian teammates to make the MQ-9B procurement a success,” said Linden Blue, CEO, GA-ASI. In May 2018, GA‑ASI launched Team SkyGuardian Canada, consisting of Canadian teammates CAE Canada, MDA (since incorporated in the United States, January 2019) and L3 WESCAM. This Canadian team is competing to fulfill Canada’s RPAS project requirements, which includes Medium-altitude, Long-range (MALE) systems. GA-ASI and SABCA signed an MOU that outlines their cooperation for production and Maintenance Repair Operations (MRO) activities, including initial in-country entry into service and support for SkyGuardian. The MOU also covers production of the lightning-protected SATCOM radome for all MQ-9B SkyGuardian and SeaGuardian systems at SABCA Limburg. The parties intend to develop the first Europe-based MRO facility for MQ-9B actuators at SABCA in Brussels. “SABCA’s focus on MRO and upgrade of platforms and equipment positions our company as a strong industrial partner to GA-ASI for this endeavor,” said Thibauld Jongen, CEO, SABCA. GA‑ASI and Thales Belgium S.A. signed an MOU to collaborate on RPA surveillance sensor data processing, exploitation, and dissemination (PED) solutions, including the integration of MQ-9B into Belgian military data networks. Thales Belgium has extensive experience providing intelligence, infrastructure, and PED capabilities to Belgian forces. “RPA technology is critical to protecting the national security interests of countries around the globe,” said Alain Quevrin, CEO, Thales Belgium S.A.
As part of its European supply chain, the company procures Ground Control Station displays from Esterline in Flanders. “As a trusted and long-time partner of GA-ASI, Esterline is looking forward to equipping the SkyGuardian Ground Control Stations, thus supporting both GA-ASI and the Belgian Air Force,” said Michel Potvin, president of Esterline Avionics Systems.